How strong is your vehicle dealership website? 6 key features every vehicle dealership should have. Studies in vehicle shopping behavior confirm that 59% of car buyers begin their search for their next vehicle online. During their research process, they will come across different influencers such as Google Ads, Facebook Ads, Instagram posts and that e-letter your marketing manager sent to promote the latest car in town to your client base. No matter the channel, your dealership website is the core of all your digital marketing and advertising efforts. So, how strong is your website in terms of having the right features to attract visitors, engage them and turn them into a hot lead for your hungry salespeople to follow up? 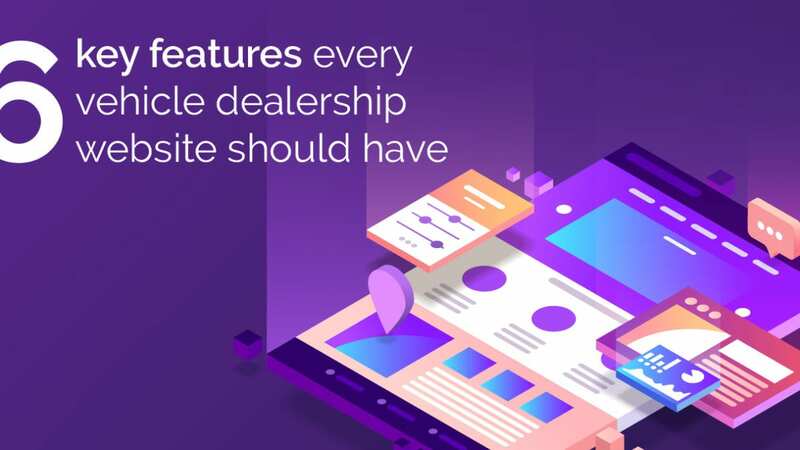 To help you determine the health of your online showroom, we have identified 6 key features every vehicle dealership should have. Simply put, Long Tail URLs, are the unique URLs comprised of key vehicle data and linking to a specific vehicle detail page on your website. It is important that these are ‘rich’ in the data which search engines are seeking. The more information, the more chances for that specific vehicle to appear organically in a long tail Google search. Why is this important? Our data shows that the customers who use long tail searches are also the most likely to send a lead. These also happen to be the searches with the lowest competition – Win-win! 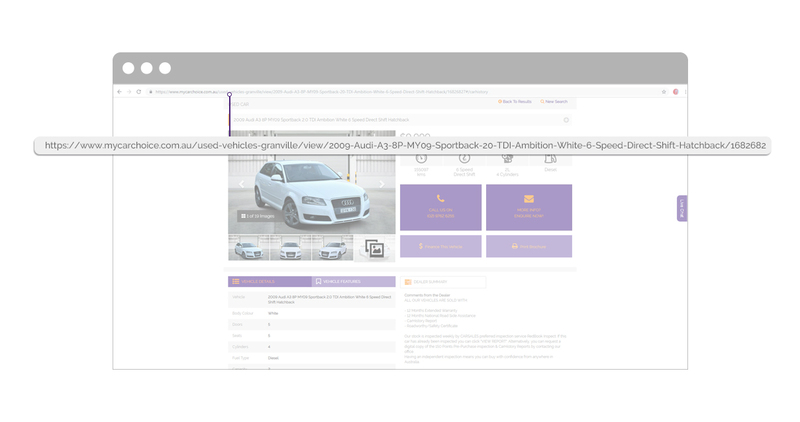 Notice how on the above image, words such as “sportback” “TDI Ambition” “White” “6-Speed” are present in the URL of the landing page for this vehicle, allowing that vehicle to have more chances to appear as a result of a Google search. 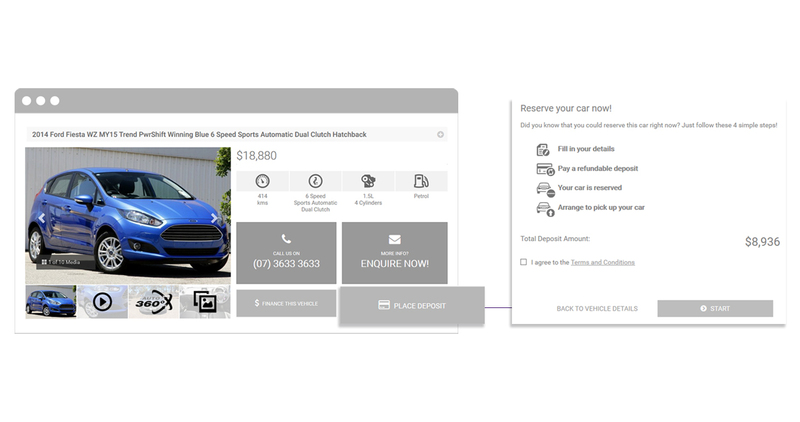 Normally this is a feature offered by your website provider and in most cases, will be a point of difference between an automotive specific website provider to your average provider. We know it’s not rocket science to calculate the repayment on a vehicle loan, but remember, you want to keep your online visitors engaged with your website as this will increase their chances of submitting an enquiry. 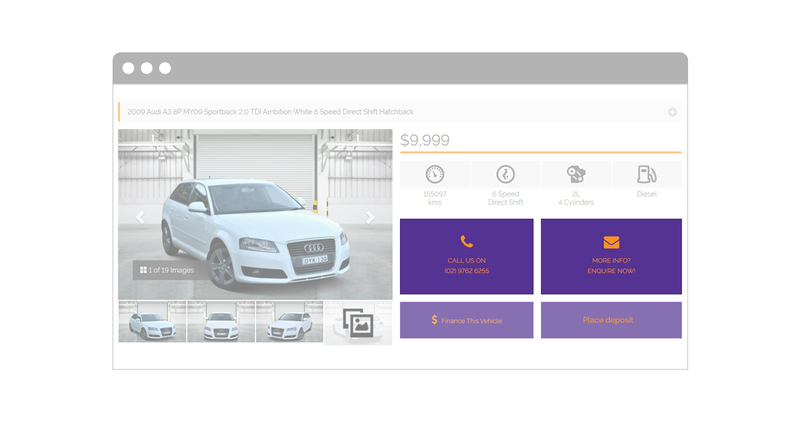 Do not overestimate the added value this simple tool can contribute on your online showroom so make sure there is a finance calculator easily accessible on all your vehicle detail pages across your vehicle dealership website. 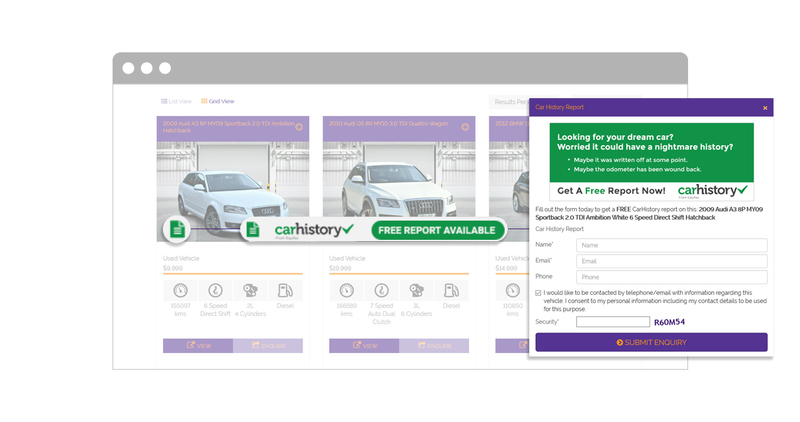 Nothing beats peace of mind, and via CarHistory reports, you can offer your online visitors exactly that while you stand out from your competition and capture quality leads. Feature 4 – The right amount of vehicle photos and video are critical! How many photos are enough — or not enough — to maximize the views on your vehicle detail pages of your vehicles? According to the Power of Pictures Study conducted in the U.S. with 521 participants, 40% of consumers are more likely to purchase a vehicle based on images they view online without seeing the vehicle in person. The more photos your vehicle detail page has, the more chances you will get to engage with your website visitors allowing them to eliminate any possible doubts about that specific vehicle. Remember, quantity is not only what is important, quality is also key: make sure your vehicles are presented in a professional manner, without shadows or noise around them, such as promotional flags or people. Our professional vehicle photographers are trained and know the angles and features that should be photographed to capture your online visitor’s attention – Don’t go cheap on this and make sure you invest in one. You can enhance your vehicle photography with Luxe, our digital backgrounds, these are designed to set you apart and will make your online presence stand out from the crowd by giving your business a unique online presence. 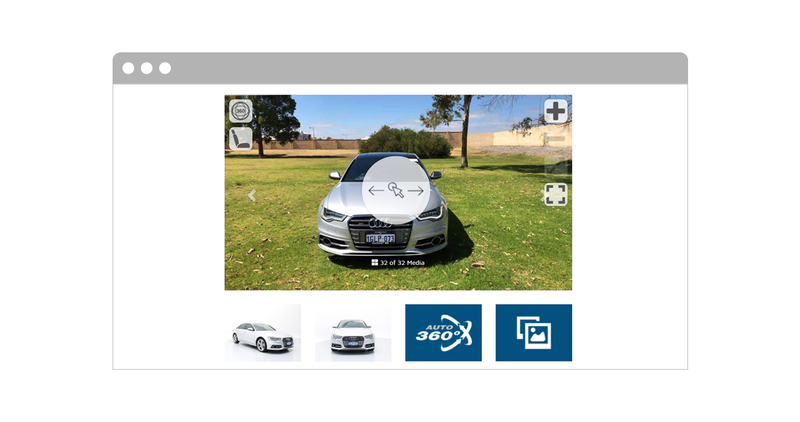 Another feature you can add is Auto360° – A 360° view of your vehicles. Auto 360° also offers the possibility to send one-to-one videos between your salespeople and potential clients. Video is key – Think about this: today, 32% of vehicle shoppers consider 360° video (interior and exterior) before deciding about their next car. We believe this number is only going to increase. A recent study indicates that 27.8% of Australians are willing to buy a vehicle online. Let’s face it. Australia has one of the highest internet penetration rates in the world, currently sitting at 88% with a 3% increase year on year. E-commerce sites like Ebay.com.au receive monthly traffic of 34 million visitors per month with visitors spending an average of 10+ minutes on site! Whilst you can’t buy a car on eBay, stats like these lead us to think that many more Aussies will be ready to start punching their credit card details on your website to secure their next car very soon. Is your website ready to start taking online deposits? If you have a Dealer Solutions website, then you are covered. We are introducing this feature very soon to all our clients on our new modular platform at no extra cost. 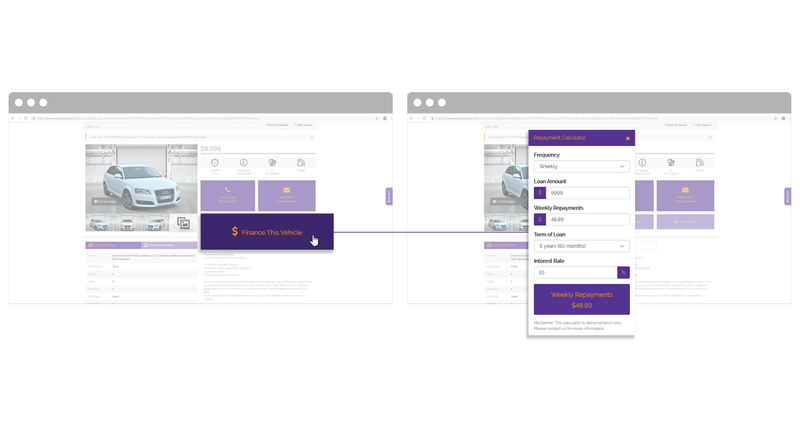 After partnering with PayPal as our payment gateway, your website customers will have the ability to secure a car by placing a deposit with just a few simple steps. If you don’t have a Dealer Solutions website, request your free demo today so you can be a step closer to start receiving online deposits as soon as we announce this new feature. To be the first know about our Online Deposits, you can register your interest here. Last but not least: your landing pages – The most important page on your website! If you are looking at ways to improve your website, the place where we recommend you start is at your vehicle detail page. This page is where the information your clients are most likely looking for is displayed. For customers looking for a car, this is where your website visitors are likely to spend most of their time. It is very important that this page contains clear call to actions (CTAs), so you can establish a “conversation” with your next customer. Make sure your website provider, allows you to create, update and optimise landing pages rapidly. A powerful content management system (CMS) like ours, on our Modular Platform, make this free and easy. All these key features (and many more) are available on all Dealer Solutions websites. If you would like to learn more about our websites contact us here or request a demo and accelerate demand, drive traffic and capture more leads directly on your most important showroom – Your website.